Precision with Pizazz! Entry level rotary cutter from the best-selling Olfa Brand. 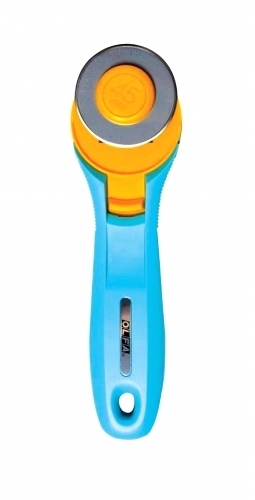 This cutter has a Straight handle with an ergonomic shape Quick blade release. Very lightweight! Check out the Youtube video below to see how easy it is to use.